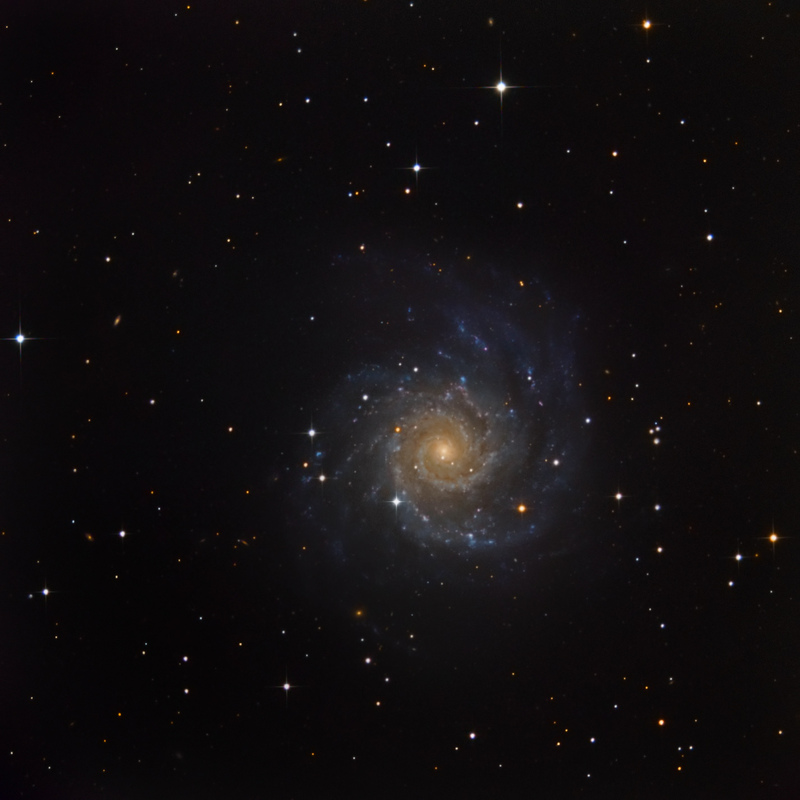 Super Nova type II in M74 (NGC 628) in Pisces. According to CBET 3606 this transient has been discovered by LOSS supernova survey on unfiltered KAIT images obtained on July 25.45. The Lick Observatory Supernova Search (LOSS) search uses a fully robotic 30-inch (76 cm) telescope dedicated to scanning the skies for new supernovae. D. D. Balam, Dominion Astrophysical Observatory, National Research Council of Canada; M. L. Graham, Las Cumbres Observatory Global Telescope, University of California at Santa Barbara; and E. Y. Hsiao, Las Campanas Observatory, report that a spectrogram (range 369-700 nm, resolution 0.3 nm) of PSN J01364816+1545310 = SN 2013ej, obtained on July 27.41 UT with the 1.82-m Plaskett Telescope of the National Research Council of Canada, shows a moderately blue continuum with weak Balmer emission lines showing P-Cyg profiles, suggesting that this is a core-collapse event. This young type II supernova has been officially designated 2013ej. Called a Type II supernova explosion, the blast hurtles star stuff into space at up to 70 000 km/sec. More amazing, a powerful supernova explosion can release as much energy as the sun during its entire 10 billion year lifetime. This is the third supernova in M74 over the last eleven years (previous SN were: SN 2002ap and SN 2003gd).